Lanoe Hawker was a remarkable individual, inspiring leader and a tireless innovator. It is hard to believe that he spent all but 4 months between his deployment across the Channel in October 1914, and his ultimate death at the hands of Von Richtofen in November 1916, in France.While he was back in England either side of Christmas 1915, he was given command of the first fighter (24) squadron of DH2s which he had to build up with pilots straight out of training while regularly standing night shifts against the Zeppelins. 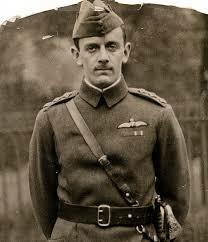 Hawker’s legend started early in his first stint in France when he won a DSO for his persistent attacks on a Zeppelin shed in Belgium. It is difficult for us to understand how one man, charismatic, affable, strict and unbelievable brave could have had such an impact on all aspects of RFC operations in France. He was an absolute product of his age in that his sense of duty knew no bounds and he put himself in harms way continuously to help and support the poor bloody infantry and their gunner support. 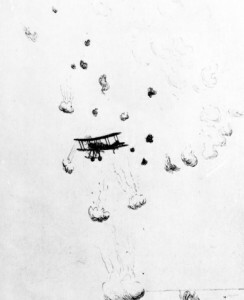 His early reconnaissance reports are a masterpiece of accuracy given that he frequently made himself the target in his Bristol Scout to establish exactly where enemy trenches were.His CO reported that ‘During the critical period after April 22nd, he often flew low over the enemy rather than fail to get the required information’. His personal contribution to the 2nd Battle of Ypres earned him a mention in despatches. His machine was hit by a variety of missiles and it was only a question of time until he himself was at least wounded. While things were still critical he was hit in the leg but remained on flying duty for 7 days until matters settled down. He then went sick but only for 3 weeks. On almost every sortie, sometimes 3-4 a day, he engaged enemy aircraft and using his own rifle in his own defence – the synchronising mechanism was still a year away for British pilots. His interest in all things aviation manifested itself in a series of inventions to improve the lot of the pilots.The gun mount at 45 degree angle to miss the propeller, the foresight on the gun to help with alignment, fur clothing for warmth at high altitudes, a rocking fuselage (an early flight simulator) for use on the ranges – all of these ideas were immediately adopted across the RFC. 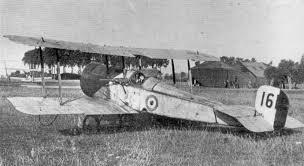 The side-shooting required of Hawker from his Bristol Scout was too difficult to give him more than a small proportion of confirmed victories in his many combats. Most of his fighting took place over the enemy’s lines where confirmation was difficult, especially when the prevailing west wind carried the damaged hostile machines far behind their lines. From the 6 Squadron history, ‘the first hostile machine to be brought down in flames fell fittingly to Capt. Hawker. As a recognition of his determined attacks on enemy machines culminating in a successful engagement of a German two-seater which crashed on the allied side of the lines revealing the location of 4 German artillery batteries that had been affecting allied operations for weeks and the RFC had been unable to locate them, Captain Hawker was awarded the Victoria Cross, the second to be gained by the Royal Flying Corps and the first for success in Air Combat’.